I just love making these fun earrings. The Magnesite beads come in fantastic colors that can be matched with just about anything. 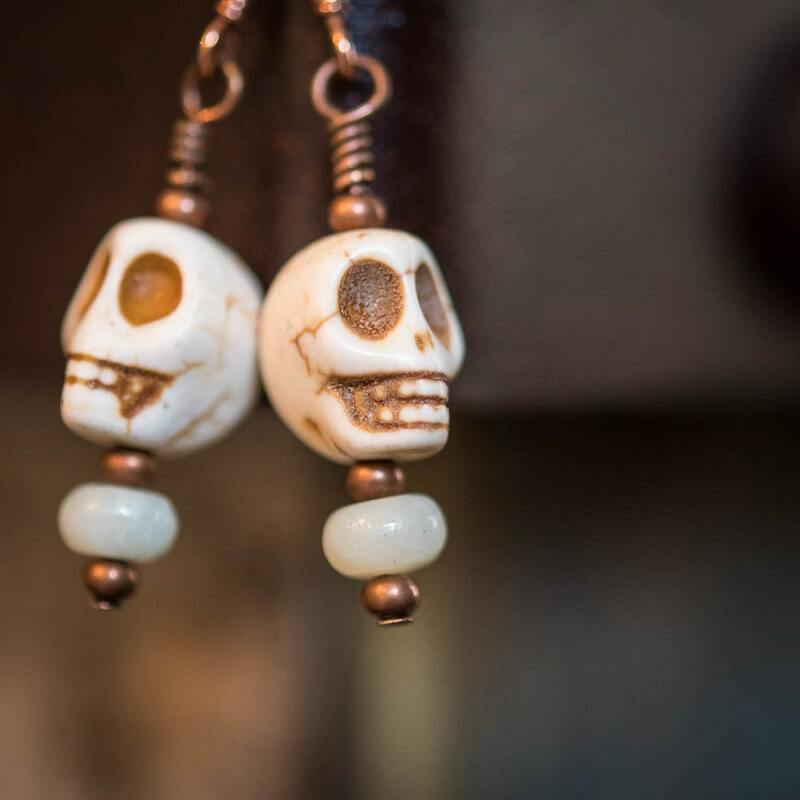 This pair is in ivory with copper ear wires, a few antique copper beads and one ammonite roundell. Want them in hot pink?